Rashid makes promising vocal gestures in his modulating tones and should be finding enough substance for the new kid Imraan in the flick. As per Amir, he felt so happy that Rahman has choosed a perfect voice for his nephew Imran. Will Rashid, be another Naresh Iyer ? Wait and see 🙂 We in behalf of all the Rahmaniacs, wish Rashid best of Luck. I don’t know about aditi, but Ada is fabulous. This is my favorite song in the album. usually Rehman’s songs takes time to like it and once you like it will haunt you throughout..but aditi song..i jus feel in love with it the minute i listened to it the first time..very simple and catchy tune and beautiful voice..good work!! rashid ali’s first song was for rahman’s parthaale paravasam….he sang the song love check (nadhirdhina nadhirdhina) picturised on lawrence and simran….i heard him for the first time in rahman’s concert which was aired in some channel….he sang love check and ooh la la la (jazz version) frm bombay dreams album…..hes simply rocking…..and his voice really suits imran khan…..waiting to hear more of him…..
I’m big fan of A R Rahmaan, I think rahmaan’s latest song “kabhi kabhi” from jaane tu ya jaane naa is awesome, I’m crazy about this song. Well Rashid Ali is a new find…no doubt…his vocal is really heart touching..He is a great find like naresh iyer by this music maestro A R Rahman…i heard for the first time in radio i rushed to internet cafe to download the song…well great song “kabhi Kabhi”….thanks to A R R for introducing such a great talent in the bollywood industry. Kabhi kabhi…..tooo cool,simple,heart touching….no words to express…lyrics+vocals+Music really matching for this song….Rashid Ali a great find…thanks to rahmanji…pls do not hide such talents…introduce more and more…coz people needs changes always…A R R ur the one people who introduces such talents very often………..when i heard this song for the first time i could never recognise this was done by rahman…coz this is entirely different from his usual tracks….another track i liked was Nazrein Milana…great compositions…. rashid ali and Rahman rocks. WoW………. a r r Choose back Rashid to sing agian after long gap.. superb.. The song from Jaane Tu ya Jaane na – kabhi kabhi will be one of the best song in 2008. I’m wishing Rashid to be success in future on behalf of ALL A R R fans.. The song kabhi kabhi aditi is just so awesome. The fresh & young voice of rashid makes it all the more beautiful. Definitely it is one of the best compositions ever. Have been listening to it continuously & every time it makes me feel fresh & joyous from inside. It is the best feel-good song in a long time.. Kudos & credit to Rashid for such fabulous singing. The initial guitar strumming is just superb though it is short & instantly catches the listener’s attention. And finally kudos to the genius of ARR for finding a gem as u rightly say!!! ”Kabhi Kabhi Aditi” & ”Ada” – brilliant beyond words. ARR, you rock. Rashid has got such a different & fresh voice and it completely suits Imraan. Yet to watch Ada song…but just love both the albums & Rashid’s voice. A.R.Reheman is my most favorate music director.Rashid has got such a different & fresh voice and it completely suits Imraan. all songs in janee tu ya janee na are so nice i would like to tell them plz continue with their good work that we will enjoy there music……. If you have not heard the track “Kahin to Hogi” from Jane tu Jane Na, you owe it to yourself to listen to this beautiful track with Rashid Ali and Vasundhara. I get goose bumps listening to this track. Great job and another reminder on Music’s ability to bring out the best in human beings. Hey da, I belive you created the Rashi Ali article at Last.fm. I copied info from there to Wikipedia. I felt it was time that those not in the know came to know about this singing genius. Those dodos at Wikipedia deleted the article as Rashid Ali apparently is not notable. Well, let’s just hope he wins the award for Best Male Playback next year, and then we’ll show those guys. For me A. R. Rehaman is God… and about Rashid ali.. He is wonderful..
For me A. R. Rahaman is God…hmmmmmmmmm I dont have words…….. I just Love A. R. Rahman and A. R. Rahman’s music..
Evey one is talking about only kabhi kabhi , which s a fabuloous song , But haven`t you heard the best track from jaane tu ya jaane naa , rendered by Rashid Ali called KAHIN TO HOGI HO, who has done a very much great job , he has modulated his voice very nicely in that song . “Kabhi kabhi Aditi….” ..wow..the song is simply awesome……after many years, for the first time i listened to the same song on end….., may be some 20 times…thank you Rehman for giving gems to the music world, you do it with every film..and why not, you are the kohinoor………. Hi Rehman Sir, What if I want to learn playing guitar & wants to work with you is there any ways to get in touch with you. i’m ur big fan of u .i like ur songs very much . Leaders like Rahama.. are really great. This picture is not the picture of Rashid Ali. He does not look like this. Please kindly change it. RASHID IN FARSI MEANS GIANT,AND ALI IS THE NAME OF OUR FIRST IMAN. THIS NAME BY ITSELF CARRIES TREMENDOUS RESPONSIBILITIES. 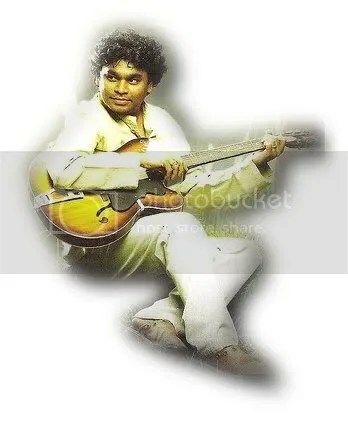 I am a gr8 fan of ARR & in diz sng both Rashid & ARR has done a fantabulous job. KEEP ROCKING ARR. he is a scientist of music…. songs such as jai ho..kabhi kabhi..chinna chinna aasai..lucky lucky…………. many more….. really magical creations…… may be we can say ar rehman is a magician of music….!!!!! He remindes me of Christopher Cross. His style of singing. Verү descriptive post, I loved that a lot.